A 4 lb. 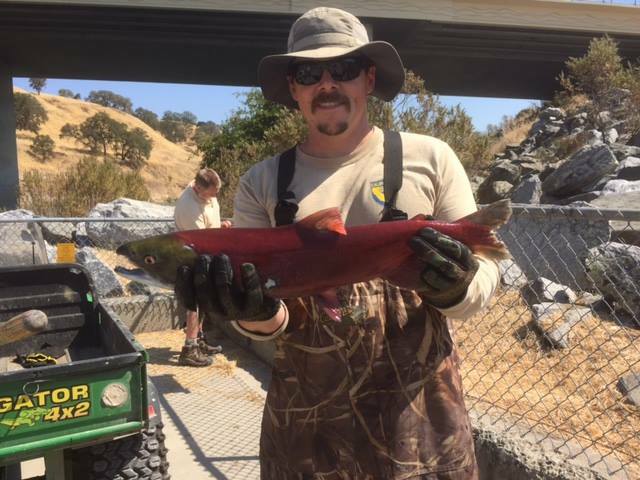 female sockeye salmon, an apparent fish from a Pacific Northwest river that made a wrong turn on its spawning journey, made an unlikely appearance at Nimbus Fish Hatchery on Thursday, September 8. Novak said the hatchery ladder is expected to open on November 1, as it normally does. Water temperatures at the facility are quite cool for this time of year at only 65 degrees.